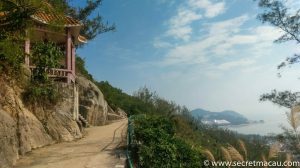 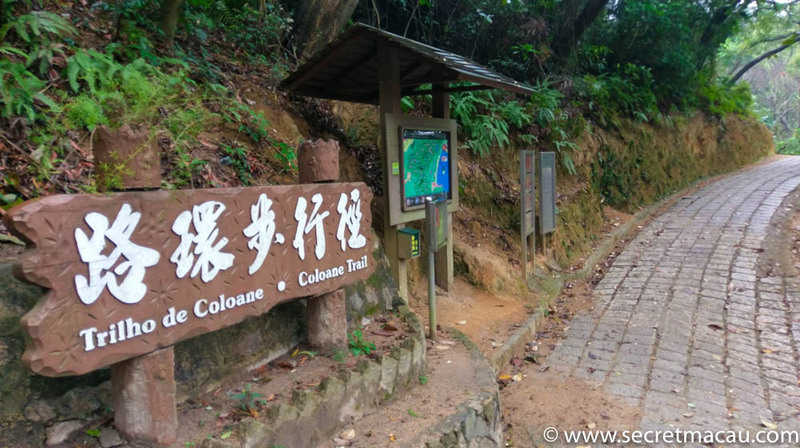 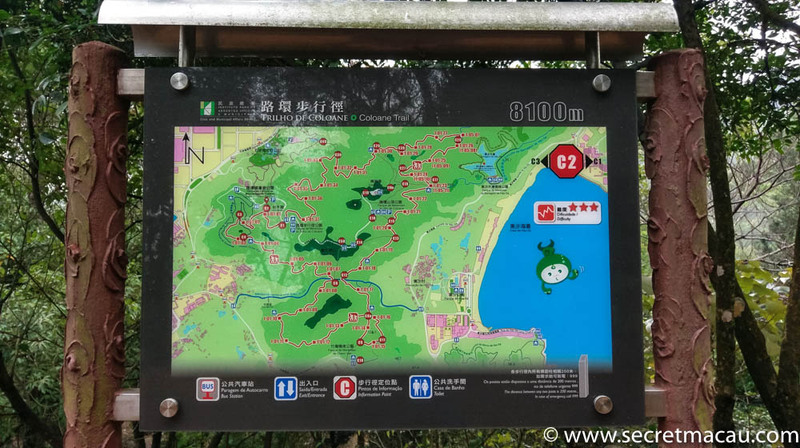 The hills are criss-crossed with other paths, which join the main trail frequent points along it’s route – so it is possible to join, and leave the trail at many locations (Hac-Sa beach, Coloane Village, the Panda Pavilion, etc). 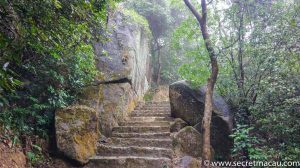 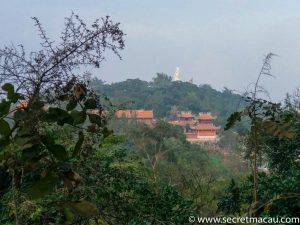 There are also paths leading further up the hills – so it is possible to use the trail to walk to the A-Ma Cultural Village at the very top of the biggest hill. It’s an absolutely beautiful route – especially on a clear day. 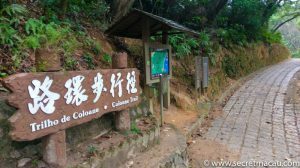 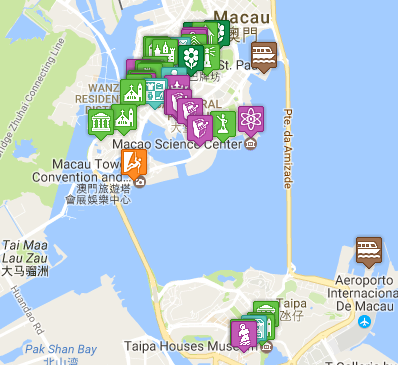 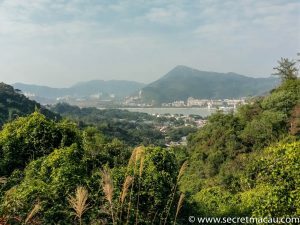 If you do the full circuit you will get awesome views of Coloane village, across to the mainland, Hac-Sa beach and the Cotai Strip, not to mention the views across the wooded hillsides themselves. 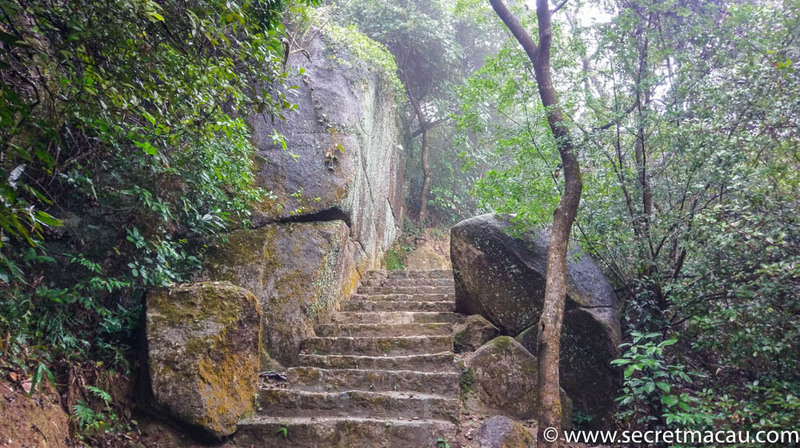 The pathway through the hills is really interesting too – it’s a well kept trail, flat(ish) in the most part, but with some really great features to break it up – stepped areas, boulders by the path, and the whole route is dotted with small pagoda style rest spots, usually at the points where the best views are. 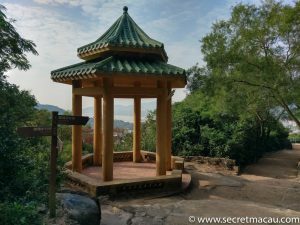 And it’s also really quiet – I’ve only ever seen a handful of people when I’ve been up there – usually walkers or joggers, or locals carrying large water containers to fill up with fresh spring water from the mountain (it has great medicinal properties some of the locals believe, and there is at least one are with a tap you can use to fill up containers with). 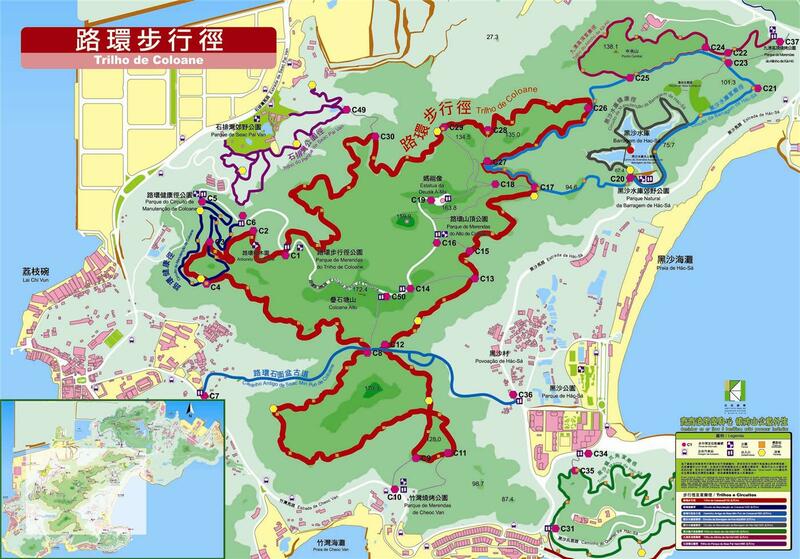 I think it’s one of the best running routes I’ve ever tried. 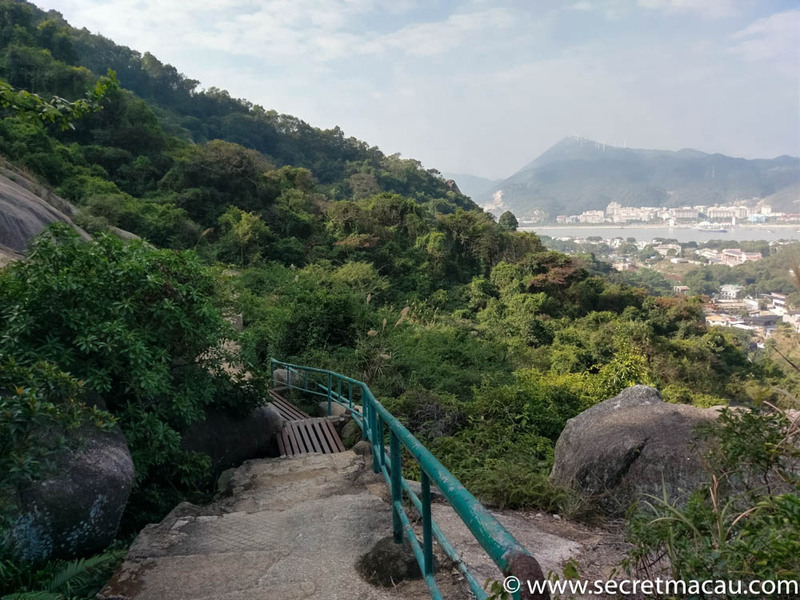 It’s got a very steep section to get up to it (if you start from the road), a long undulating main path (well kept, compacted earth underfoot), and enough views and interesting sections to keep it interesting. You can also vary you route on the fly as you see fit – there are places to take shortcuts and plenty of steep stepped side paths to explore if you want. 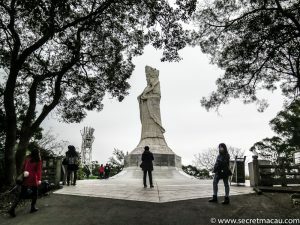 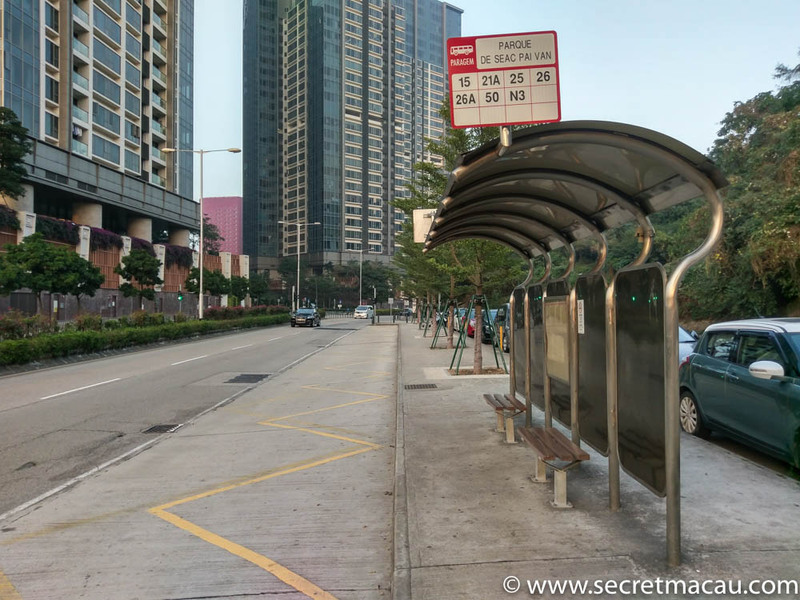 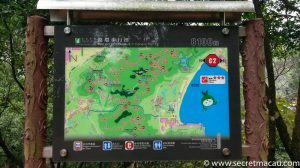 Near the base of the hill, the route intersects with the smaller Taipa Fitness Trail – a smaller circular route with pieces of blue fitness apparatus at various points. 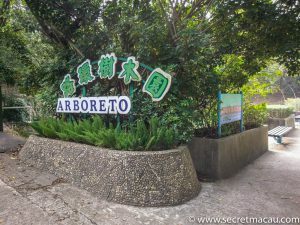 Also on the trail is the Arboretum, a nice place to stop off to view some plants or stop by the small lake (keep an eye out for small turtles sunning themselves on the lake side if it is quiet). You can then either follow a path up from Parque De Seac Pai Van (Panda Pavilion), or walk up the main road up the hill (its a steep initial climb, but once you pass the building on the bend, the paths to the trail open up).